Hi, Thanks for stopping by and visiting Journey of Illumination. 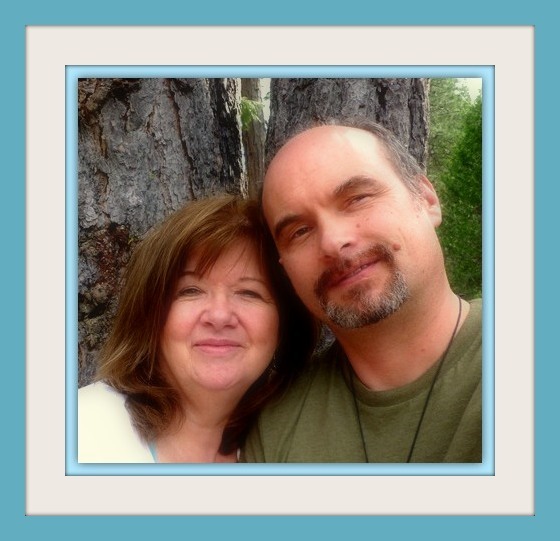 This is blog is a story of my life as Christine walking on the Ascension Pathway which now includes an amazing partner in my life and work, Mike Hayden. I have been on this path of awakening for almost thirty years, and Mike also is a seasoned lightworker with 20 plus years. We have only been together for one year, but it is our blessing to have found each other as we assist others to do what we have done. Heal deeply and completely. We will share experiences of being with a Twin Flame relationship and in training to be a Twin Ray. Please check out our bios on Walking Terra Christa which also shares many seminars, programs, and workshops we are doing together. We hold two teleconference calls each week as many of us are coming together on these calls. The first is the Clarion Temple of Oneness which formerly was the Clarion Light Beings of 911 & Beyond; the second is the New Earth Consciousness ~ Circle of Light with Lord Adama as our host. The Temple of 911 is a place where souls either in or out of body can come to receive healing. This temple has changed dramatically in the 10.5 years since its inception for the souls of the 911 that wanted to assist the Earth. What happened instead is that we all heal together. The Cosmic Great Central Sun also known as Divine Mother & Father God give an introductory attunement with a special guest speaker each week. It is a very powerful meditation. Weekly we connect with Lord Adama and a Team of Light (Ascended Masters and Light Beings) as we walk together into the 5th dimensional frequency of the New Earth. We learn about the Telosian community and the Golden Cities which are being constructed in the Etheric level of Earth. These cities will eventually become our homes of Light. For the next ten weeks from September 26th through December 2012 we are being honored with a special seminar series called “The Telosian Way of Being” with Lord Adama. Please check out specific information on our website, http://walkingterrachrista.com. We also host “open” calls for the Full Moon, Equinox, and special occasions to share with everyone. We hope you will join us. We work as consultants to assist individuals for the ascension process on a private basis which are done via telephone and can be accessed via Skype. We do depend upon this work as our sole source of income so if you really enjoy the energies and would like to give a Heart-to-Heart Offering, it would be absolutely wonderful. We try to provide as much material as possible to assist everyone and have a very unique way of pricing to help all levels of income to learn and grow from our teachings. I am Christine Melereiseee and this is my first blog. I have been on the path for 25 years but am finally coming out into the world. I would love to have you check me out on my website or You Tube. I have uploaded some new videos and continue to do more. I am presently promoting my teachings of “Spectrum Light Ray Frequency Mastery” in which I bring forth tools and techniques to help an individual to fully activate their fifth dimensional physical body. It is an exciting time for me and am looking forward to connecting with so many individuals on the path of Creating the New Earth.